Built in 1971 by Deacons Boatyard as the Deacon 33, She was the mould for the Deb 33 glass fibre boats. I have the original drawings. This is a restoration project since the boat is in need of substantial re-planking above the waterline and general re-refurbishment. 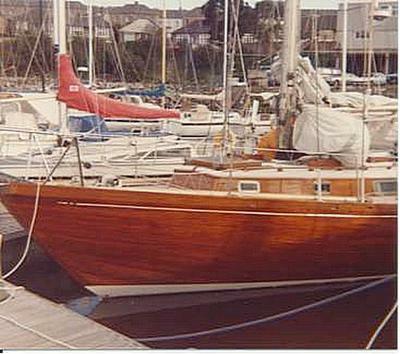 Mahogany planked and splined hull. Volvo 23hp inboard engine ( will need overhaul). 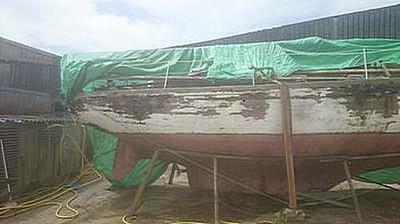 Shallow draft with drop keel 7ft 3” keel down, 3ft 6” plate up. 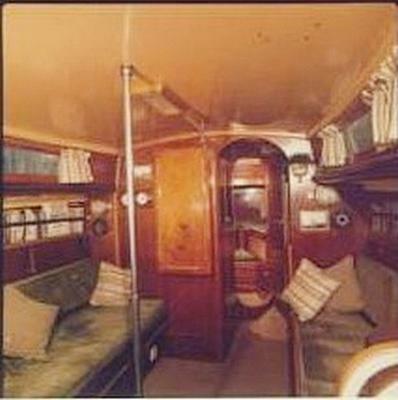 I converted her to yawl, in common with a lot of S and S yachts, one advantage was that I could set a mizzen staysail!. Featured in Classic boat magazine some years ago, Peter Phelan author and photographer. My name is Mike Bridgwater and would be interested in finding out more about the boat. Tel 07891354801.